For the 5th year in a row, the Artists of the Gallows Run will display their artwork in the picturesque Bucks County barn of Nancy Alessi and Richard Smolev. Located at 207 Church Hill Road in Kintnersville, PA, the Rising Sun Farm barn will feature the Art for Conservation exhibit on Saturday, September 28, from 5:00-7:30 PM and Sunday, September 29, from 2:00-5:00 PM. Sponsored by The Gallows Run Watershed Association, Heritage Conservancy, Nockamixon Open Space Committee and Palisades School District, this year's theme will be "Observations in a Changing Climate". The event is free. The exhibit is designed to showcase local artists and benefit land conservation and environmental education. Fifty percent of profits from sold works will support land conservation efforts in Nockamixon Township. This year’s exhibit will again include prize winning works selected from Future Artists of the Gallows Run, a competition for art students at Palisades High School. Following the barn show, the exhibit will move upriver to Nurture Nature Center, located at 518 Northampton Street in Easton, PA, from October 5 - November 1. A celebratory reception at Nature Nurture will be held on Thursday, October 10, 6-9 pm. As the last stop on the tour, the exhibit will then move to Palisades High School on November 13 through January 8, 2014. The Gallows Run Watershed Association (GRWA) is an independent 501(c) 3 non-profit dedicated to protecting and improving the quality of the natural resources of the Gallows Run Watershed. We advocate on behalf of sound environmental stewardship, sustainable land management, and preservation of the rural character of the Watershed. Our tools include educational outreach, scientific research, active participation in the legal processes that effect local land use, and a strategic partnership with other organizations that share our objective. To learn more visit www.grwabucks.org. Heritage Conservancy has been preserving our natural and historic heritage since 1958. The Conservancy has been instrumental in conserving eight properties totaling 710 acres of land in the Gallows Run Watershed in Nockamixon and Durham Townships. 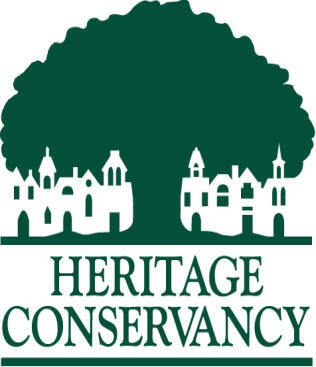 Based out of historic Aldie Mansion in Doylestown, PA, and with operations in Port Murray, NJ, Heritage Conservancy is an accredited not-for-profit conservation organization that specializes in open space preservation, planning for sustainable communities, natural resource protection, property stewardship, historic preservation, adaptive reuse of existing structures, wildlife habitat restoration and biodiversity. Learn more by visitingwww.heritageconservancy.org. issues in our communities. Since opening its grand historic facility to the public in 2011, NNC has hosted thousands of visitors for art, science and dialogue programs on a variety of environmental topics important to the community. For more information, visit www.nurturenaturecenter.org. The Nockamixon Open Space Committee adopted as its mission: To plan to protect, preserve and enhance the important lands that make Nockamixon special. A truly unique venue, Artists of the Gallows Run - Art for Conservation provides an opportunity for local talent to interpret some of Bucks County’s loveliest open spaces while supporting conservation efforts. Partnering this year with students, with conservation organizations and with local businesses, the artists will donate fifty percent of the proceeds of the exhibit to support and fund land conservation efforts in Nockamixon Township.